Interested in buying an SD card for your Browning trail cameras? Here are a few things to look for that will help you choose the right one. Most Browning trail cameras don’t come with external memory cards, so you may be wondering what is the best SD card for these types of cams? My favorite trail cameras are the Browning Strike Force and I’ve been extremely pleased using the SanDisk 512GB memory cards. The SanDisk SD cards are the fastest I’ve used for transferring large amounts of photos off my trail cameras. Below are the best SD cards I’ve had good luck using with Browning Trail Cams over the years. Using quality SD cards to store your photos on and then transfer to your laptop is extremely important. Sometimes weeks worth of photos have to be transferred, so you need an SD card that is both dependable and fast. Below are the best SD cards for Browning Trail Cameras that I’ve used. 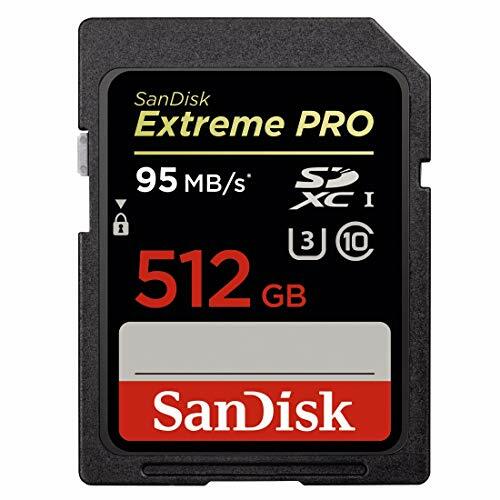 SanDisk Extreme Pro 512 GB (click to check the price at Amazon) – SanDisk is the leader in external memory cards and their quality and dependability are second to none. I’ve never had one fail and they are tremendously fast transferring photos. This is my top pick. 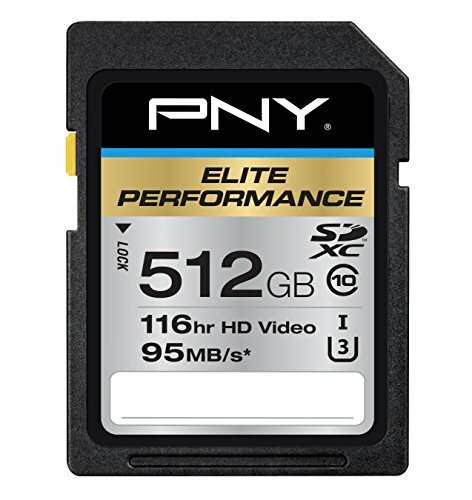 PNY Elite Performance 512GB (click to check the price at Amazon) – PNY SD Cards are another option that I’ve found work well in Browning game cameras. I use PNY SD cards in situations where I’m monitoring 5 or more cameras because they are really affordable. This is your budget option. Lexar Professional 512GB (click to check the price at Amazon) – I’ve never used Lexar SD cards but I hear great things from those that do. I wanted to mention this card as another option to consider as it’s near the price point of SanDisk SD cards and has a very high transfer rate of 150 MB/s. When you sit down and compare the SanDisk to the PNY SD card and Lexar Professional, the differences are noticeable. SanDisk SD cards have proven reliability due to how long SanDisk has been around. I’ve used their SD cards for close to 20 years and have never had a problem. That same trust isn’t there with PNY and Lexar. The SanDisk Extreme Pro SD card is the most compatible external memory card for Browning Trail Cameras. My units never give me problems accepting or writing to the cards. 512GB is the max storage for cams like the Browning Strike Force. It lets me max out the storage space so I can let it run for weeks at a time without having to check it. The 95 MB/s transfer speed of the SanDisk is in line with similar card of its size. It takes only minutes to transfer a week’s worth of trail cam photos. SanDisk cards are affordable compared to the more expensive Lexar cards. The SanDisk Extreme SD card can support up to 4K video which is way more than enough quality for my Browning Game Cameras. SanDisk cards are compatible with recovery software that allows you to download previously deleted photos should you lose them. Here is a great clip of what you can expect to achieve with a good SD card paired with a Browning Trail Camera. Large storage sizes. SD cards for Browning trail cameras are available from 16GB all the way up to 512GB. The larger the SD card storage, the more photos and video your camera can take before you have to check it. SD card compatibility. Most Browning game cameras are compatible with standard SD cards, but some take MicroSD. Always check to see what type of SD card your game cameras take before you buy. High transfer rates. No one wants to sit around and wait for long periods of time while photos and video’s transfer. SD cards with transfer speeds ranging from 95 MB/s to 150 MB/s are ideal. High resolution video quality. SD cards like the SanDisk Extreme Pro are capable of storing 4K video. Proven reliability. SanDisk has a proven track record of producing quality SD cards you can depend on. Affordability. If you’re running multiple cameras, you may need to buy multiple SD cards. The PNY SD cards are a great budget option for monitoring 5 or more trail cameras at once. SD cards are a vital piece of equipment that allows you to set your trail cameras to monitor for weeks at a time without having to check them. Let’s face it, most trail cameras come with internal memory that just doesn’t cut it, so the only alternative is to buy a large external SD card. These are the most common types of SD cards for Browning trail cameras. SDXC Cards – SDXC Cards are your standard external memory cards that have been around for ages. They now can hold up to 512GB’s worth of data which is really impressive. Most large Browning Game Cameras use SDXC Cards. Micro SD Cards – Micro SD cards are less common and are only really used for smaller applications where memory card slot sizes are an issue. Transfer Rates – Not matter which SD card your Browning camera requires, transfer rates play a big role in just how fast you can retrieve your photos and videos from your cameras. A transfer rate of 95 MB/s to 150 MB/s is ideal. A 95 MB/s SD card usually takes only minutes to download a week’s worth of trail cam photos. Always check your game cam specs to make sure you are buying the right SD card. Most Browning game cameras take SDXC memory cards, while SD micro cards might be required for smaller units. Transfer rates play a huge role in determining how quickly you can download data from your trail camera to your laptop or card reader. 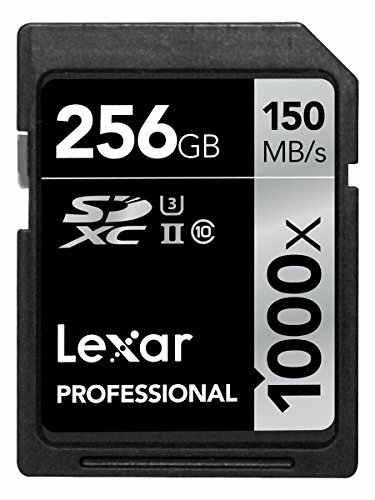 The Lexar SD card has impressive 150 MB/s transfer rate which is the fastest in its class. What is the best size SD card for Browning trail cameras? Browning trail cameras are compatible with SD cards ranging from 16 GB all the way up to 512 GB. With such a large storage discrepancy available, how much data storage do you really need? The typical Browning trail camera user taking both photos and videos should plan on using a 32 GB SD card at the very minimum. Depending on how long you set your video lengths, each one could be several thousand megabytes which adds up quickly. I like to use 512 GB SD cards for my Browning trail cameras because I never have to worry about the cards exceeding their data limits and it allows me to check my trail cams less often. If you’re monitoring a bunch of cameras often, then several of the 32 GB SD cards will work well for both photos and 1080p HD video. The key is to buy a dependable brand like SanDisk. This brand works well with all the Browning trail cameras I’ve used them in. Interested in a trail camera under $50? Check out our top picks here.